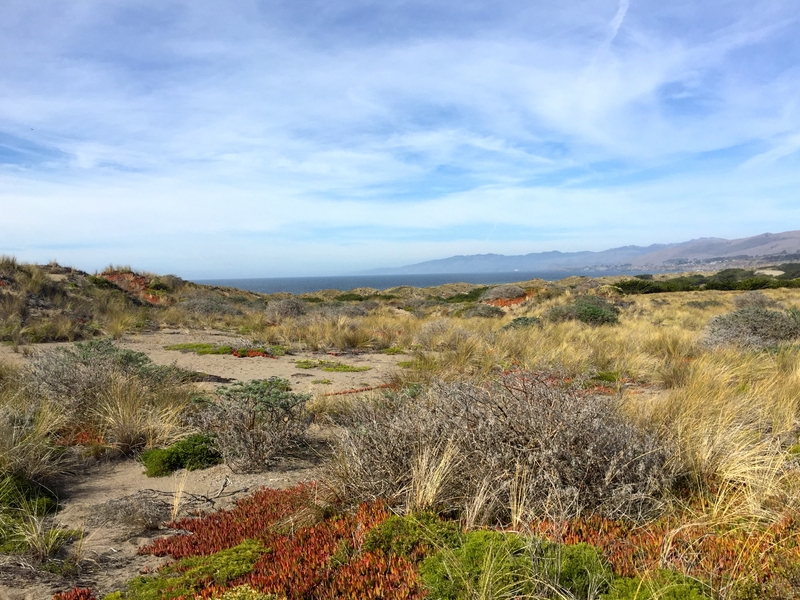 I took a hike at Bodega Dunes today with my wife. We hiked about 6 miles in a little more than two hours. Fog played tag with us, sometimes closing in and making our early afternoon outing cold and almost dark. At other times the fog retreated back over the ocean revealing some blue sky. In those moments, the sun shine warmly on us. 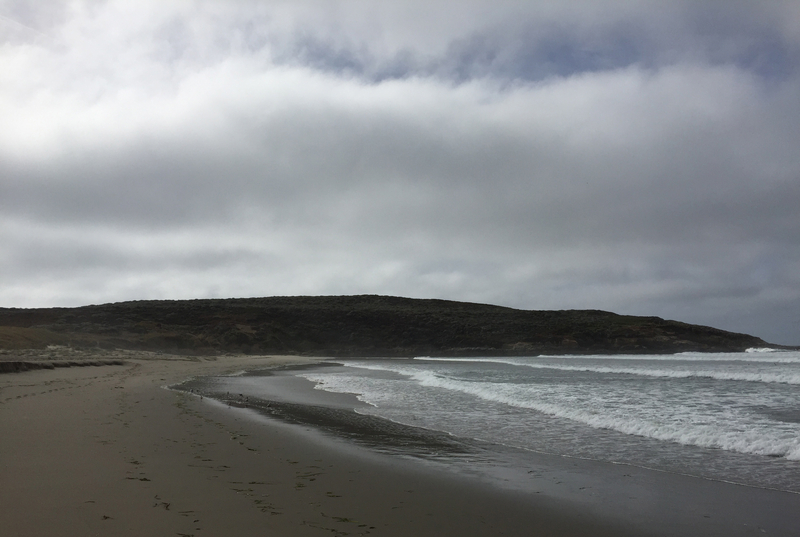 As I walked on the wide expanse of sand I wondered how much of it flowed out the Russian River estuary, a few miles north, on its way to being under my feet. I wondered, too, how many eons it would take an estuary to build dunes like these.